- Fix a broken forfeiture system that encourages law enforcement to "police for profit"
Participants get a free ACLU-MN T-shirt! If you're coming from Southern Minnesota, we've got free bus service! The bus will stop in Worthington, St. James, St. Peter and Mankato. WE NEED TEAM LEADERS! 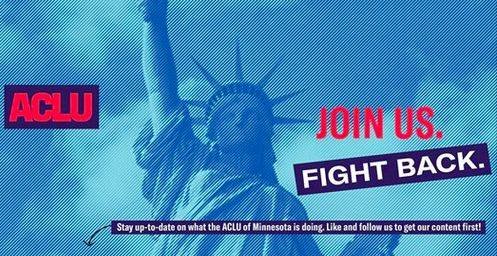 Have you lobbied before or volunteered for ACLU-MN? Please sign up to lead a group.